Our clients have plenty of great things to say about Bonnie Humphrey! I could not be more pleased in the “kind” and efficient way Bonnie P. Humphrey handled my case –my deepest gratitude. Bonnie responded very rapidly. Virtually saved my daughter and myself lives and belongings. Bonnie Humphrey was absolutely wonderful, understanding, caring and solved the problems. Offered excellent advice. Thanks so much for all of Bonnie’s help. She is an excellent lawyer. In a time of trouble there is no better help… To say [Bonnie] provided excellent help is truly an understatement. Bonnie Humphrey is the best! The family … would like to say that Bonnie Humphrey was just great in handling our uncle’s power of attorney. It is nice to know that there is still one on one communications with people and that we were not just another number in the system. She is great! She was so caring and understanding. I didn’t feel looked down upon because of my situation. Thank you again. I don’t know how to thank you for all you did for me. Bonnie, you are always so kind and nice to talk to. Don’t know what I would have done without your help. You have been a great support for our family. Very helpful – explained very well- very friendly –easy to talk to and did a very good job of taking care of my paperwork. I would like to thank Bonnie Humphrey… I never would have made it to this point in life without your time and encouragement – as well as explaining that there ARE other choices not known to someone not in law. Thank you. 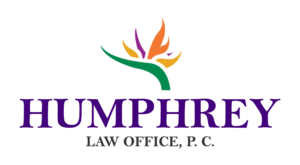 Welcome to the Humphrey Law Office, P. C. We are a trusted, confidential and friendly place for you to make important decisions during emotional, difficult times. When you need someone to listen to your needs, respect your rights, and help you to make hard choices, we are here for you.